If you are considering buying pet insurance, you are not alone. At the end of 2017, approximately 2 million pets were insured in North America. I personally have never considered buying pet insurance before I started researching for this blog. I have to say; my findings have prompted me to reconsider. Let me share why but before I do, let me say that from a strictly financial perspective, you are more likely to come out ahead if you pay out of pocket for your pet’s healthcare. You are on a limited budget and you would rather pay for your pet care over time rather than have large, unplanned expenses when they fall ill.
You do not want to face the dilemma of deciding between spending money on your furry friend or saving it for some other financial goal you have. This can be a really hard decision when the vet cannot give you certainty that the expensive treatment will help your pet, how long it will help them, or what their quality of life will be afterwards. Your spouse isn’t too keen on spending a lot of money on an animal they don’t like too much anyway. Before I go further, let me just say that if you cannot afford comprehensive health insurance for your pet, you probably can’t afford the healthcare your pet will require and you should reconsider getting a pet at this time. Pet insurance is generally for cats and dogs, however, some insurance companies offer what’s called “exotic pet insurance” for pets such as gerbils, parrots, and turtles. When evaluating insurance from different carriers, it’s important to understand the types of coverage available, the conditions and treatments the plans provide for, and what they don’t provide for that may be suitable for your pet. 98% of insured pets are covered either through an Accident & Illness plan or a Comprehensive Care plan. My personal recommendation is you consider purchasing the Accident & Illness plan if one of the three scenarios above sounds like you. If your vet offers a Wellness Program that costs just as much or less than paying as you go along, then it may make sense for you to purchase it along with an Accident & Illness plan. The North American Pet Health Insurance Association releases a State of the Industry Report each year. In their 2018 report, they list the average premiums for the different types of coverage for 2017. Accident & Illness Plans in the U.S. for dogs have an average annual premium of $536 per pet. Accident Only plans for dogs had an average annual premium of $190 per pet. For cats, the average annual premium for Accidents & Illness plans is $335 per pet and Accident Only plans averaged $153 per pet. In 2017, the average claim for dogs and cats on the Accident & Illness plans was $278. As I mentioned before, in general, you will come out ahead if you pay out of pocket rather than pay for pet insurance. 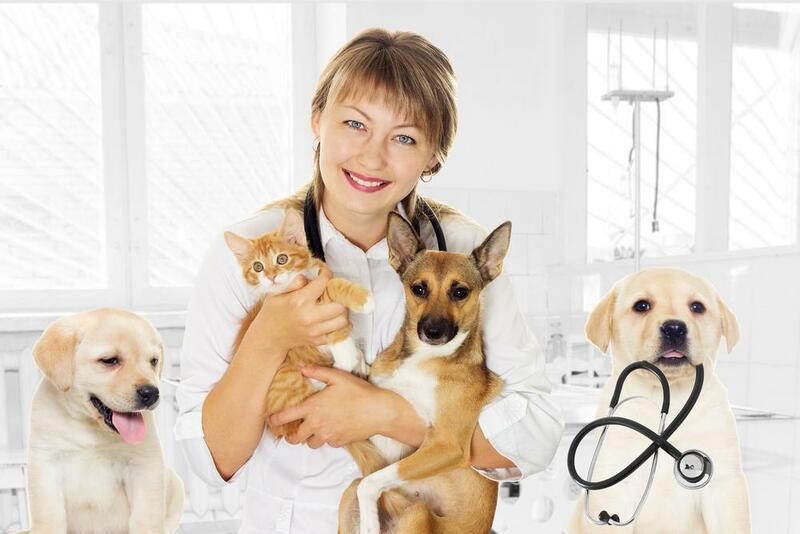 Comprehensive Care with Embedded Wellness plans typically cover accident and illness, and may cover spaying or neutering, vaccinations, heartworm prevention, cremation and burial, dietary consultations, flea and tick medicine, and dental care. Generally, Accident & Illness policies are more affordable than Comprehensive Care coverage. In fact, they are the most common type of plan purchased. These plans cover accidents plus illnesses such as digestive issues, allergies, cancer, and infections. Care and treatment typically covered under the Accident & Illness plans include x-rays, surgery, hospitalization, prescription medicine, emergency dental care, and cancer treatment. Only 2% of pet insurance policies sold provide Accident-Only coverage. These plans cover unexpected incidents and injuries such as ingestion of foreign objects, Rover eating an entire chocolate cake or is stung by a bee, or if your pet is hit by a car, and so forth. During your research, you will find that different insurance plans will give you the option to add endorsements, also known as riders. These can pertain to cancer, behavioral therapy, alternative care, or wellness add-on’s such as dental care. For clarification, pet liability is different from pet insurance, which covers your pet’s health. Pet liability may be covered under your home insurance or umbrella policy. This is something you should confirm with your insurance representative. You will want to do your homework before purchasing a pet insurance policy. Not all plans are alike. When you are doing your comparative shopping, it’s important to understand all the coverage options and to read the fine print. You will need to compare annual premiums, deductibles, co-pays, annual limits, and capped benefit restrictions for certain conditions to help you make an informed decision. You will find that premium rates will be different across the country and are likely to increase each year due to inflation and the age of your pet. You will also find there are age limits (too young and too old) as well as restrictions associated with certain breeds and for pre-existing conditions. Selecting the best pet insurance for you can take some time. Read reviews from trusted sources such as the Better Business Bureau and Consumer Reports. You can also ask family and friends, or your vet if they do not have an affiliate relationship with any insurance company. Will you do me a favor? I want to hear from you. Connect with me on LinkedIn to let me know what you like about my content, what you don’t like, and what you want to see more of.